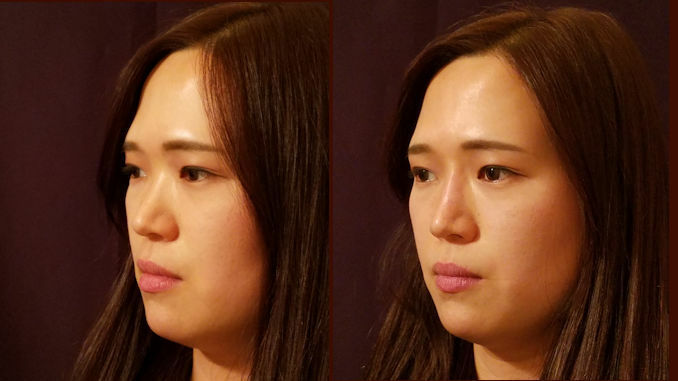 If you’re not happy with the shape of your nose, until now you had two choices: get a rhinoplasty procedure (nose job) or live with it. 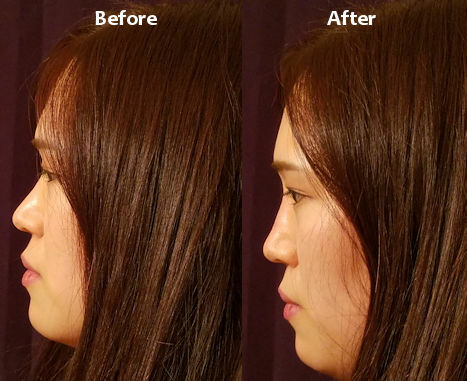 Rhinoplasty is a great option. 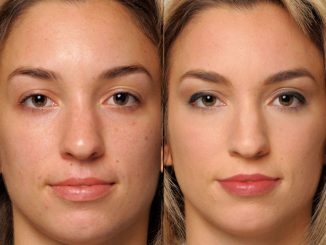 A surgical nose job can permanently improve the shape of your nose. But there’s also a downside. It can take weeks for soreness to subside. And you may see swelling for months. And, what if your new nose isn’t exactly what you wanted? Can you fix it without another surgery? Fortunately, a new procedure, liquid rhinoplasty, can help you get the nose you want instantly, with no downtime. And if you don’t like the results, the whole process is reversible. I am pleased to offer this option in California’s San Francisco Bay Area. Editor’s Note: Dr. Mitchell Blum is a highly experienced expert facial plastic surgeon in California’s San Francisco Bay Area with offices in Tracy and Menlo Park, CA. 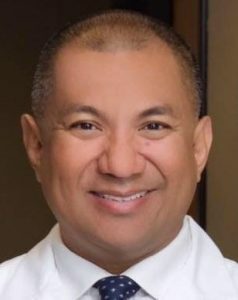 Board certified in both Facial Plastic Surgery as well as Head and Neck Surgery, he has performed more than 7,000 facial plastic surgery procedures in his career. 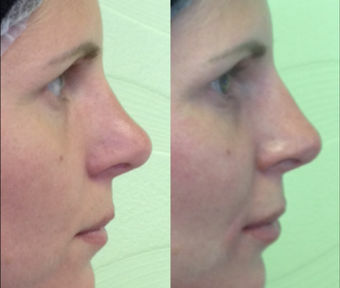 Liquid rhinoplasty involves injecting fillers to reshape your nose. It can improve the shape, size, and in some cases, position of the tip of your nose. It can also straighten your nose. Liquid rhinoplasty does not remove bumps. But it can hide bumps. It does an excellent job at correcting minor depressions. Because we’re adding volume to your nose, a liquid rhinoplasty won’t actually make your nose smaller, as a traditional nose job can. But, depending on the type of nose you have and the skill of the injector, liquid rhinoplasty can actually make your nose look smaller. If you had a surgical nose job and didn’t like how it turned out we may be able to significantly improve it with liquid rhinoplasty. 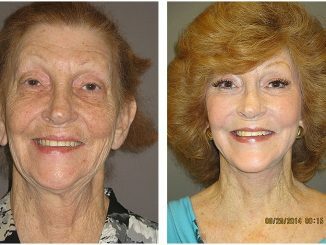 And, unlike traditional rhinoplasty, it is completely reversible. If you don’t like it, it can be dissolved within 24 hours. 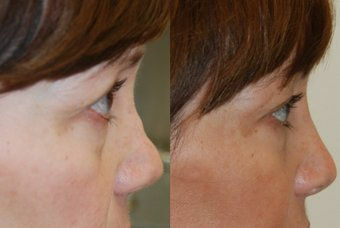 One of the best things about a liquid rhinoplasty is that it has little to no downtime. Most people can go back to work immediately after having one. 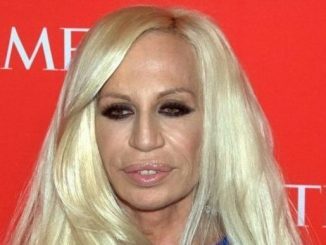 A liquid nose job is very safe. And, unlike a surgical rhinoplasty, you will see excellent results immediately. 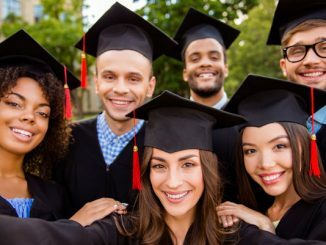 Imagine you have an important social event on your calendar, like a wedding, anniversary party or class reunion. Or perhaps it’s an important business event. You want to truly look your best. If you have months to plan for it, a surgical procedure is always an option. 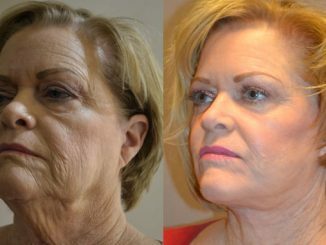 But if you need to look good now, liquid rhinoplasty could be an excellent way to go. Naturally, because it involves injecting the right fillers into your nose, a liquid nose job requires a lot smaller immediate cash outlay than a surgical procedure. If the size of your nose is the issue, a liquid rhinoplasty cannot make it smaller. While it can make some noses look smaller, it cannot actually reduce their size. In addition, a liquid rhinoplasty is temporary. 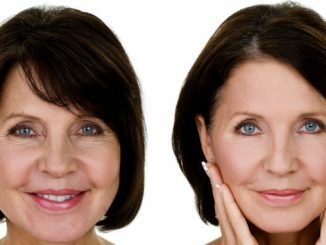 The fillers we use are based on a natural substance, hyaluronic acid. Your body tolerates this very well, but will ultimately reabsorb it. Depending on the person, reinjections every 6 to 12 months may be needed to maintain your new look. 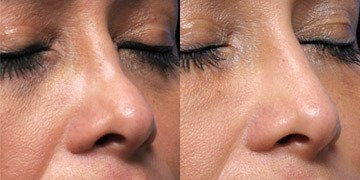 A liquid nose job is not for everyone, since it can only be used to fill hollows or depressions. A consultation and examination are needed to determine if you are a candidate for a liquid rhinoplasty. It is the easiest to mold and shape. It can be completely removed within 24 hours if so desired by injecting another medication. 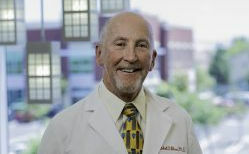 It does not interfere with or prevent a future surgical rhinoplasty. Imagine going to the doctor’s office on a long lunch break and coming out with a much better-looking nose. 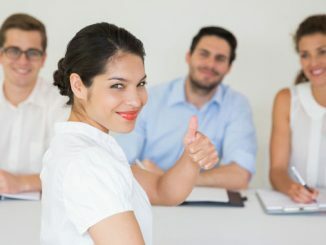 Think of how it would feel to go into an important social or business event, knowing you really look your best and can enjoy the benefits.